*SISTER* For there is no friend like a sister in calm or stormy weather; To cheer one on the tedious way, to fetch one if one goes astray, to lift one if one totters down, to strengthen whilst one stands. 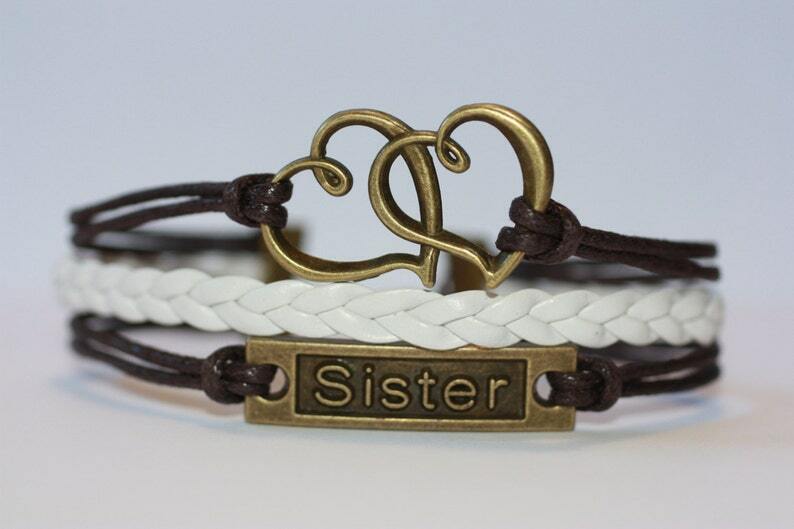 The Sister Bracelet includes 3 bracelets that are fastened together by two Bronze clamps. It includes a lobster claw clasp and back chain, making it fully adjustable to fit any wrist size.